OVERVIEW: Stay on the coast of Trinidad while you observe, collect data, and even rescue sea turtles under a starry night sky. Visit protected areas in Nariva Swamp, where you will find Amazon rainforest flora and fauna. Work with leading scientists in the conservation of the majestic blue and gold macaw. Explore Trini culture, music, and food. Finally, fly to the smaller island of Tobago to snorkel in Pirates Bay and even SCUBA dive coral reef ecosystems in the bay of Little Tobago. INCLUDED: Includes international airfare, transfers, taxes and fees, accommodations, meals, transportation, national park fees, conservation program fees, guides, vehicles, location staff, SCUBA BCD vest, regulator, fins, dive instructors and all other trip activities. ADDITIONAL COSTS: Trip insurance (around $100), personal items, souvenirs and food at airports. 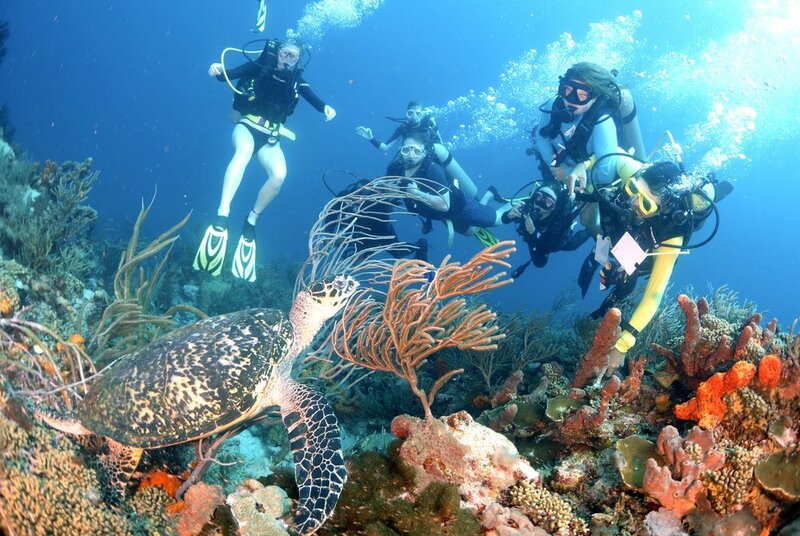 Participants may also want to purchase their own mask and snorkel for SCUBA diving. TOPICS: Community-based conservation, Trini culture, music and dance, blue & gold macaws, leatherback sea turtles. Below you will find the basic schedule for our program. ALL of the photos were taken by Sprout on location, so they show what you will experience when you join our TEAM Adventure to Trinidad & Tobago! Local villages, La Brea pitch lake. 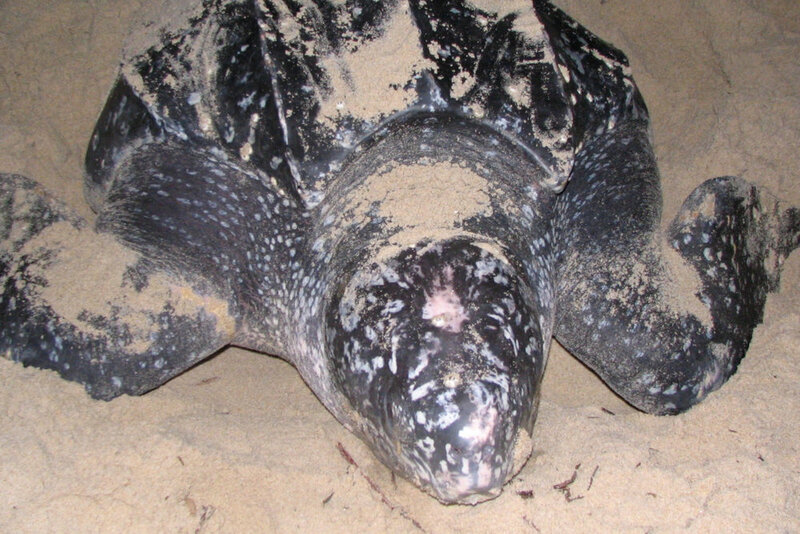 Leatherback sea turtles: Nature Seekers. Hike through the higher elevation Pine and Mora forest of Matura, down to the jungle, along the edge of a ravine carved from limestone to create pools, waterfalls and gorges. The trail descends down to the river, where three distinct pools are tightly nestled together to form the stunning area known as the Mermaid Pools. Of course we will jump into the water, swim, relax, and look for mermaids. Sprout is so excited to begin a new partnership in Trinidad! Bernadette Plair is an amazing scientist and conservationist, and we will be working on her successful project to bring the blue and gold macaw back to Trinidad. Real people. Real science. The Sprout Experience. Check out this video. It is a trailer for a documentary that was just produced about Bernadette and the project WE will be working on!